This salad is layered with so much delicious flavor. 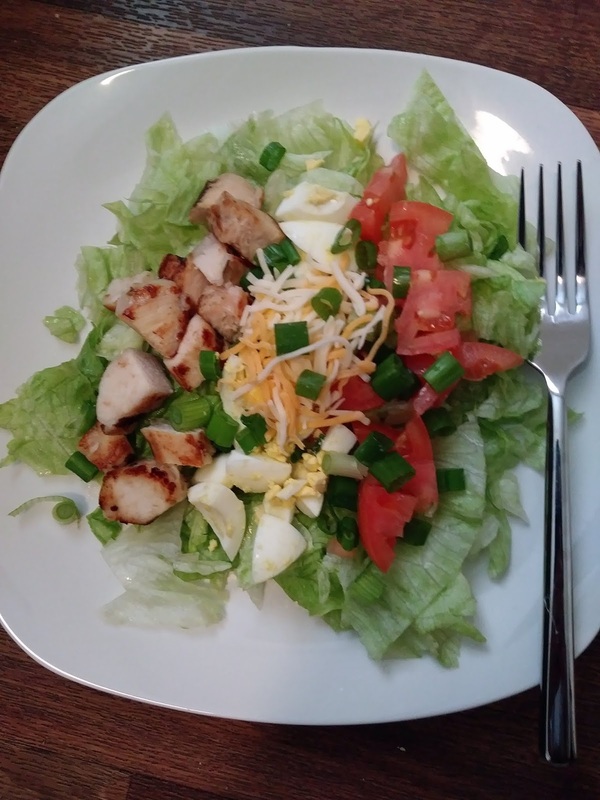 Crisp lettuce, tomatoes, hard boiled eggs, green onions and leftover rotisserie chicken. Toss with homemade italian dressing. Make the dressing: In a jar combine the first 8 ingredients, place a tight fitting lid on jar, shake vigorously, until well blended. To make salad: Place salad ingredients on individually plates. Pour dressing on salad, and serve immediately. Love using that jar to shake shake shake!! Perfect lunch! The jar is a great way to shake. Thank you! This sounds delicious and wholesome Christine. Will have to make it soon!! Hope you have time to make it. I'm with you! Salads are awesome year round. This looks like a super simple salad.